Are you missing your front teeth? 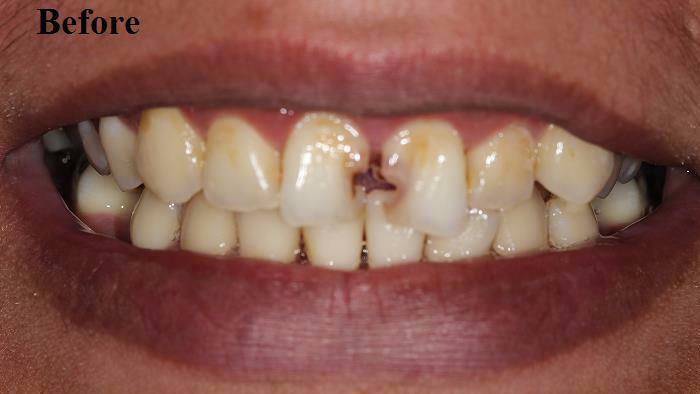 Or do you have decay (cavity) on some or most of your front teeth and wondering how to fix or replace them? Your smile is very important, it reflects on you, it gives you confidence and is proven to make one approachable. The first thing people see when they see you is your front teeth, your smile. Fairly or unfairly, you’re judged by what your smile looks. Thank you for visiting our blog page and our first blog. It is my pleasure to introduce our doctor and his staff! Hobby dental has now been open for over 5 years now and we've had such a great time since then. patients, and for that, we are very grateful. different doctors every time visit us.